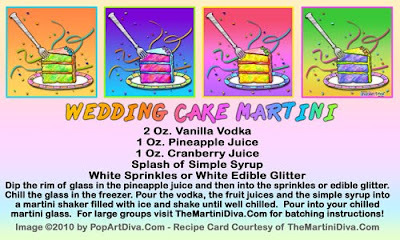 It's amazing how much this martini tastes like a wedding cake. It's very sweet - which makes it a perfect dessert martini - but I added the cranberry juice to add a little tartness and also give it a nice pinkish color. You can leave that out if you'd like and, if you float a little heavy cream on top it adds the creaminess of frosting. Need great wedding invitations, postage, envelopes, bachelor/bachelorette tees you can customize to suit your theme? 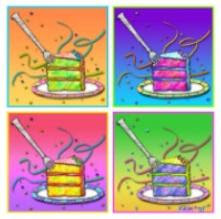 Check out hundreds of wonderful designs at Zazzle.